We are giving away a pair of floor seat tickets for the upcoming “Fight Night Live” at the Hershey Centre on November 19th! The event is set to showcase some of Canada’s top professional boxers. Our friend and FitAfter45 contributor, Don Nelson will be sending two seasoned competitors from his Oshawa-based Motor City Boxing Club. Jerome ‘The Wildcat’ Gabriel will be making his highly anticipated professional debut. Jerome retired from amateur competition while holding the Canadian Amateur Light Heavyweight Champion title which he won earlier this year. Another Motor City veteran, Phil ‘The Assassin’ Rose was originally slated to fight Tim ‘The Irish’ Cronin, however Cronin was forced to pull out of the fight due to an injury. Canadian Super-Welterweight Champion Ryan Young stepped up to fight The Assassin on short notice, which should turn out to be a good old fashion barn-burner. 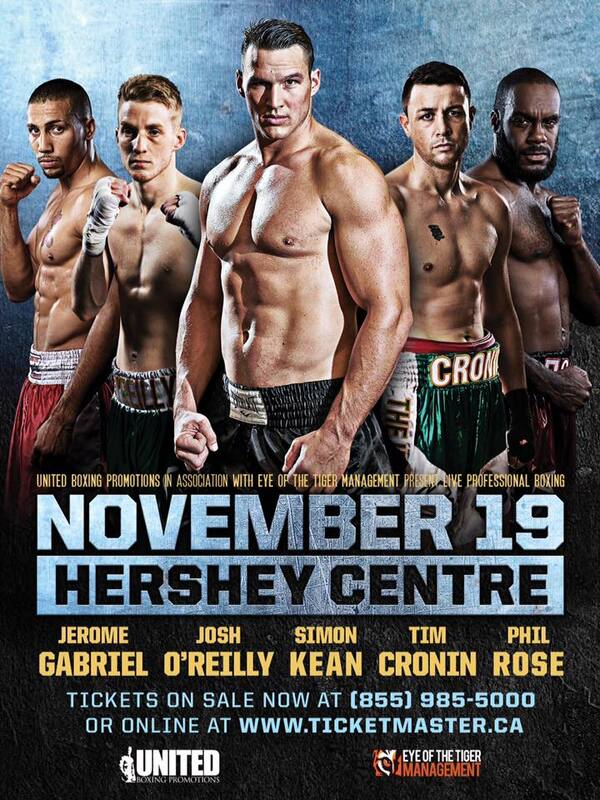 The card also features undefeated Hamilton-native Josh O’Reilly who finished his last United Promotions bout via TKO. Hailing from Quebec, Heavyweight and 2012 Olympian, Simon Kean, will be making his Ontario debut in the main event. Enter below for your chance to win two floor seats valued at $200. The contest ends Nov. 17th at 12am EST so act now!